I ignored the advice of most dentists to have my wisdom teeth removed when I was young. I thought that I could just leave my wisdom teeth in and not have any problems. Partially as a result of my bad decision not to have my wisdom teeth taken out when I was younger, I really struggled with dental decay issues for several years. I try to take good care of my teeth, but sometimes I was forgetful about brushing and flossing, and the cavities piled on. Finally I started noticing that I was experiencing pain in the back of my mouth. I knew I needed to go to a good dentist to get everything looked at. After a quick scan of the phone book, I decided on Dr. Hazan, even though I didn’t know much about his practice. Boy, was I pleasantly surprised. I was treated very well by Dr. Hazan and his staff, and felt that the service I received at Dr. Hazan’s office was great value for the money. Dr. Hazan quickly extracted my wisdom teeth and there were no complications. I feel a lot better today, and I owe it all to Dr. Hazan. I admit that I am very obsessed about the way I look. I pride myself on being attractive and care about my appearance a lot. That is why I was so horrified when I tripped, fell, and chipped one of my front teeth. To me, the experience was emotionally devastating. I was so worried that I would never be beautiful again. In my line of work, how you look is very important, so I absolutely had to get my tooth fixed. But I was really worried about whether or not I would be able to find a dentist who could quickly repair my broken tooth and make me look good again. Thank God I found Dr. Hazan. He talked me through the different options I had, and helped me to select the best solution for me. Throughout it all, he was very open about all the different options available to me. I really felt like he cared a lot about helping me to find the best possible solution. I am so happy I found Dr. Hazan and I hope other people read this account of the best emergency dentist in Orlando. Dr. Hazan is the best! I was on vacation in Orlando, enjoying my time there immensely. Unfortunately, about the fourth day of my vacation, right after visiting Disney World, I felt a terrible pain in one of my right molars. The pain started suddenly, and I really couldn’t figure out what the cause was. I ignored the pain for a couple of days, but it just kept getting worse. Thankfully, about three days after the terrible pain started, one of my friends recommended that I visit Dr. David Hazan and get my mouth looked at. I am so grateful I took his advice! Dr. Hazan was very sympathetic and helped me figure out what the problem was right away. I received five star treatment at his office, and I was so happy when I didn’t have to feel that horrible pain in my mouth anymore. 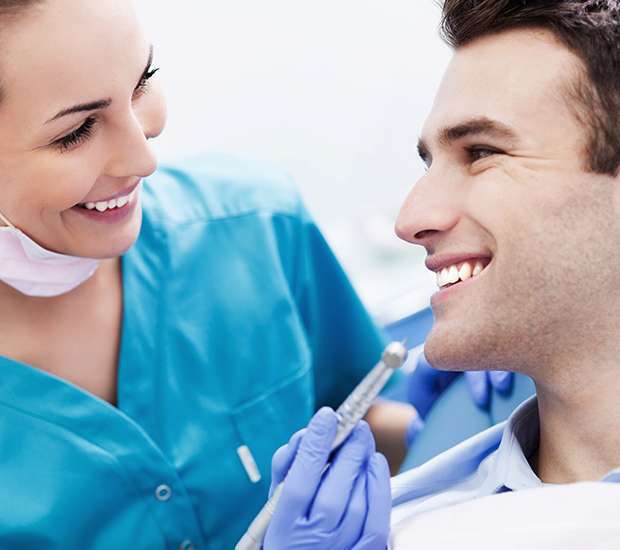 Dr. Hazan is a great dentist with amazing “bedside” manners. His practice is top-notch and incredibly accommodating with my work schedule. I never have issues getting in to see Dr. Hazan, even on weekends! I highly recommend him for all of your dental needs. A great place with excellent customer service. Tiffany is very professional and pleasant to deal with, irreplaceable. Friendly, fast, helpful and very professional. I plan on having more work done there. Excellent experience. Amazing staff and very professional. Very truthful about work that needs to be done.